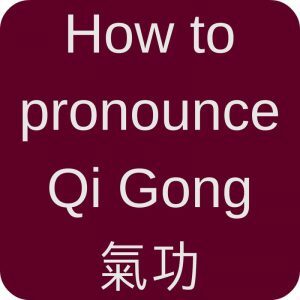 Interview with Violet Li from "Violet Li Tai Chi"
One of my goals with Qialance is to connect with other Taijiquan and Qi Gong enthusiasts around the world. And I like blogging. 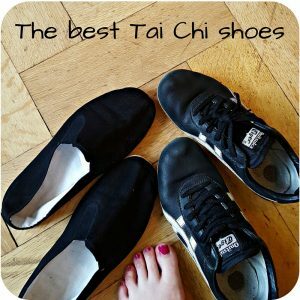 Obviously I had to create a list of the Top 15 Tai Chi Blogs! But I want to go further and learn more about those bloggers. So I hope you are just as curious as I am because I interview them. And this is the talk with Violet Li from Violet Li Tai Chi. Some of you may know her as the journalist behind the Tai Chi Examiner. Because that platform was bought and she could not write there anymore, Violet decided to start her own thing. I am glad that she continues to share her well researched articles with us. 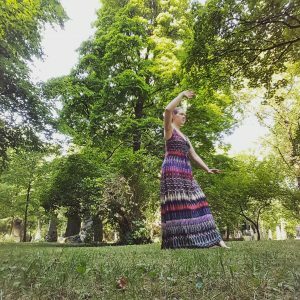 She actually won the Best Media Award at the World Congress on Qigong, Tai Chi, and TCM in 2016! Violet, could you please tell us a bit more about yourself? I tried Tai Chi in my teenage years. But I did not find it attractive then. However, I started to learn it serious about 17 years ago. My knowledge and skills took off seven years ago when I started to take private lessons directly from Grandmaster Chen Zhenglei, a 11th Generation Chen Style Lineage Holder. Which style are you into and why? I learned Qigong and Tai Chi from many grandmasters of multiple styles. But I study Chen Style Tai Chi most. Chen Style is more rigorous and complicated. So it is more fun to practice it. What is the biggest benefit you get from your practice? I was extremely weak physically from childhood. As a working mother of two children and a traveling husband, I constantly felt exhausted. With Tai Chi practice, I gain so much energy and I am more physical flexible then ever. Most importantly, the practice of Tai Chi makes me rethink the value of life and it also offers me a different way to view my relationship with the nature, universe, family, and friends. I feel a lot more calm and content. Additionally, four years ago I used Qigong and Tai Chi to cure myself from a serious shoulder accident without surgery, shots, and physical therapy. I am also a mother of two children and I can totally confirm that my Tai Chi practice is really crucial for my sanity! And it’s good to hear that you could use your experience to help yourself heal. Which piece of advice would you give a beginner in Taijiquan? Find a good teacher. 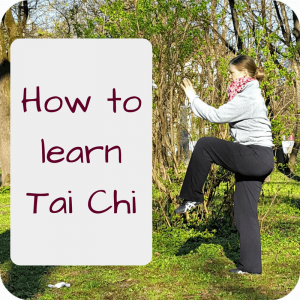 Learn Tai Chi Chuan not just the forms but also the philosophy and principle of it by reading. Who are or were your most important teachers? Grandmaster Chen Zhenglei and Grandmaster Effie Chow. Is there any teacher or master you would like to learn from in the near future? I consider myself privileged and fortunate since I am a journalist and I have the opportunity to meet and interview some of the greatest minds and masters of our time. Is there a book you recommend? One you often like to pick up and refer to? The Harvard Medical School Guide to Tai Chi even if people do not practice the art. Thank you Violet for this interview and for your enduring promotion of Tai Chi and its benefits! If you want to read more from Violet Li have a look at her homepage here! This entry was posted in Blogs & People and tagged Blogs, Chen style, interview, Taijiquan on 2016-10 by Angelika Fritz.